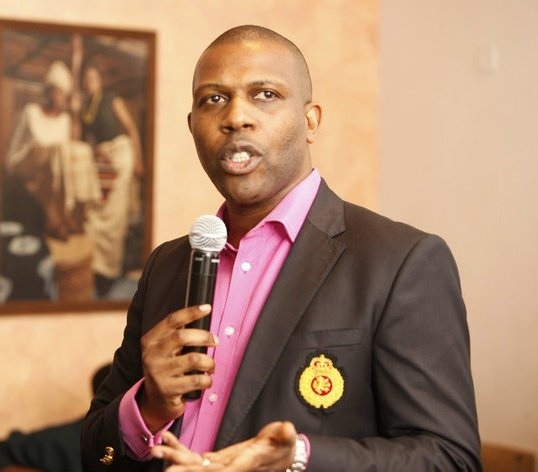 As the Rivers state polity remains heated up, a Peoples Democratic Party (PDP) chieftain, Prince Tonye Princewill has alleged a threat to his life by Governor Rotimi Amaechi’s spokesperson and Commissioner of Information, Ibim Semenetari. While condemning in strong terms the vitriolic attack against him, Princewill claimed that the attack on him is not unconnected with his resolve to remain in PDP and not to join the All Progressives Congress (APC) in their unprovoked attack on President Goodluck Jonathan. In a statement made available to Blank NEWS Online on February, 08, 2014, Wabiye Idoniboye-Obu, Personal Assistant on Media and Publicity to Princewill said, “In a recent interview on Rhythm 93.7 Viewpoint – a news, interview, phone-in and current affairs programme, Prince Tonye articulated his view on the Rivers crisis and tried to share with Rivers people the reason why the current attempts to paint the President black were not only disingenuous but not in the interest of Rivers people. “He went further to highlight that his disagreement with the Governor was not personal but based on the principle of calling a spade a spade, and just as he had often commended him for the good works he had done, he would also chastise him whenever he did not. That applies to his recent position”. 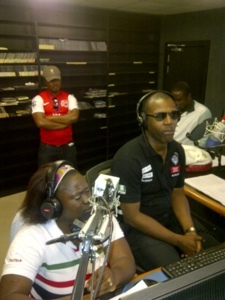 “This has been his consistent theme in Rivers state. When the Governor said that all our militants were criminals, he disagreed; when he celebrated the building of schools and hospitals, the Prince suggested we wait first wait for full functionality; when the Governor decided to buy a new plane, he protested. He didn’t stop there. When the Governor decided to be the spokesperson for the opposition while in PDP, Tonye advised against it, and when he decided to sack the Obio Akpor council, again the Prince said it was wrong. In all cases he told him privately before saying it publicly – for the record. “That is why the vitriolic attack by Ibim Semenitari on this Saturday’s viewpoint programme was most unfortunate and embarrassing to us as Rivers people. The Prince’s recent stand not to move to APC and not to fight the President should not warrant the kind of response it is getting from a whole government spokesperson, who really should be busy doing several other things. Nothing the Prince has said has directed personal attacks at anyone in Rivers state Government. What was she thinking? “A prominent Niger Delta activist called the Prince recently to tell him that he had been threatened by someone very high up in Rivers state government for something he was supposed to have said and that he the Prince had been mentioned within the threat as well. Before now, we would have laughed it off as ridiculous but after today’s interview, we are not so sure. Such a vicious attack today on radio from a lady who we had previously viewed with high regard only suggests that this crisis has brought out the worst in our government leaders. Tolerance has been thrown out the window and criticism is no longer heard even if it is constructive. Just like our friend Tony Uranta, the Prince must now live in fear of his life. “We have since tabled documents before Rhythm 93.7, and reacted for the records to demonstrate the truth in the Prince’s comments and the holes in hers. While we await her evidence to back her claims, the issue no doubt will be the subject of legal proceedings so that Rivers people can see for themselves who is really telling the truth. In addition to legal advice we have also taken other advice and written to the IG and the Director, SSS. We feel prompted to do so because people who are prepared to go to this length to smear your character don’t mean well for you. An angry man is a threat. An angry government has an ability to carry out that threat. “Claiming that the Prince is angry because the Governor took contracts away from him trivializes the situation and is akin to clutching at straws. What a coincidence she comes out now on the same program barely a week after his public opposition to Rivers State Government’s anti Johnathan stance. Rather than the waste management contract or any other contract taken from him; it is clear from the documents below that it is the Commissioner of Information that has sought to misinform. “This is just the beginning”, the statement concluded. was looking for this from few days , google led me here . Also i have bookmarked this website and shared this on social networks such as youtube,twitter and facebook . thank you searching for a response.